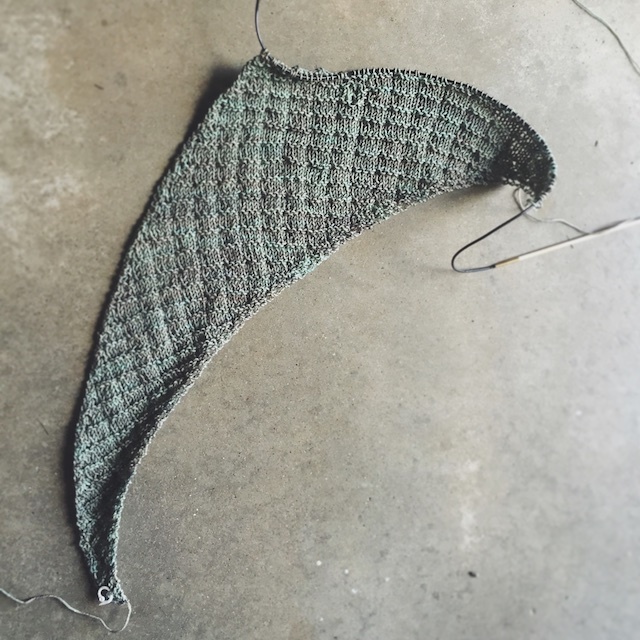 Well, the Truly Myrtle Knit-along is over, but I'm continuing on with a new shawl from Libby. It's a test knit of Industry and I have to say it's infectious. 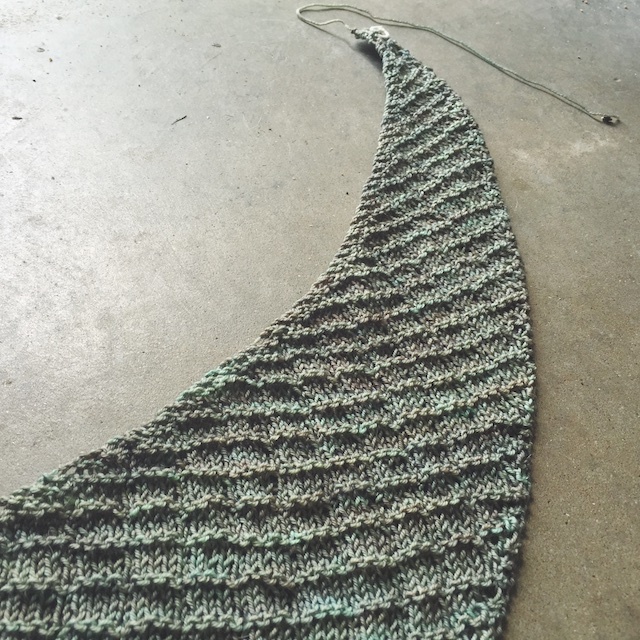 It's knit from side to side, something I've not done on a shawl yet, and it looks equally interesting on either side. I think graphic lines really appeal to the stripe lover in me. It's why I loved Rattan and Laylow. I'm knitting this for the Handmade Fashion Challenge 2015 that I posted about the other day. It will be my first completed project, and probably my quickest knit. P.S. If you follow that link to the Truly Myrtle site, you'll see my girl pre-wedding in my Settler Shawl. Just pretend I blocked it correctly. I didn't block out the little points at the edge. I have no idea why... mother-of-the-bride brain, I guess.